Merriam Christian Church has the beautiful space and traditional features to make your wedding a day to remember. From the center aisle to the colorful stained glass to the gorgeous wood rafters, the sanctuary provides the decorative backdrop you are hoping to find. The staff bring years of experience in helping couples to plan and execute the perfect wedding. 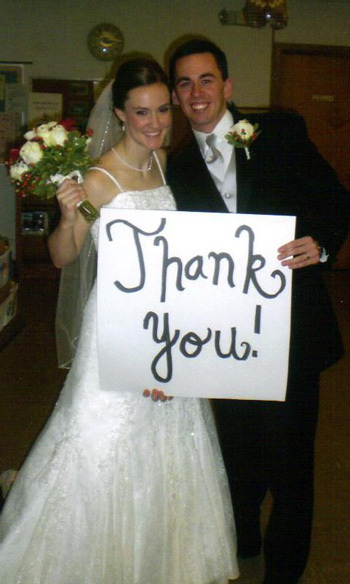 Pastor Mark has performed over 100 weddings and will work with you to shape the ceremony you have always dreamed about. Pastor Mark meets with every couple getting married, to discuss the ceremony and arrangements and to talk with the couple about the marriage-after-the-wedding-day. MCC's goal is to help create beautiful memories for you and your spouse of this momentous day. Have a question? Want to set up a tour? Send Pastor Mark a message directly using the contact form below.